Our founder, Troy, learned her craft from the old men in the mountains and from a few scattered through the south. Determined to understand why some whiskeys were smooth and others were rough, she searched high and low, listened to those that actually made great whiskey on their home places, and then did countless test distillations for over one year to perfect her recipes. 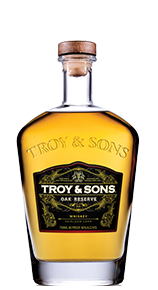 Troy was dedicated to making authentic and high quality spirits that highlighted the secrets of the old American whiskey makers. She promised to keep their identities secret and their knowledge pure. 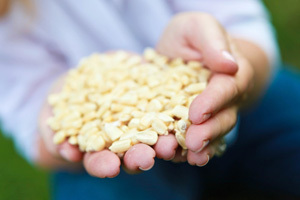 Troy met the John McEntire family in 2008 on her search for white corn to use in her whiskey recipes. John McEntire’s ancestors had been growing rare heirloom Crooked Creek Corn for over seven generations on their family farm. Their corn grew to twelve feet and produced only one ear per stalk. When Troy had it analyzed at the University of Tennessee, it was found to have the highest fat content on any corn the researcher had seen, proving this heirloom strain was truly original. 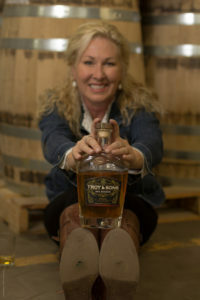 With this discovery and a new friendship, Troy spent the next year and a half working with John to perfect her techniques in Troy’s first licensed distillery in Old Fort, North Carolina. 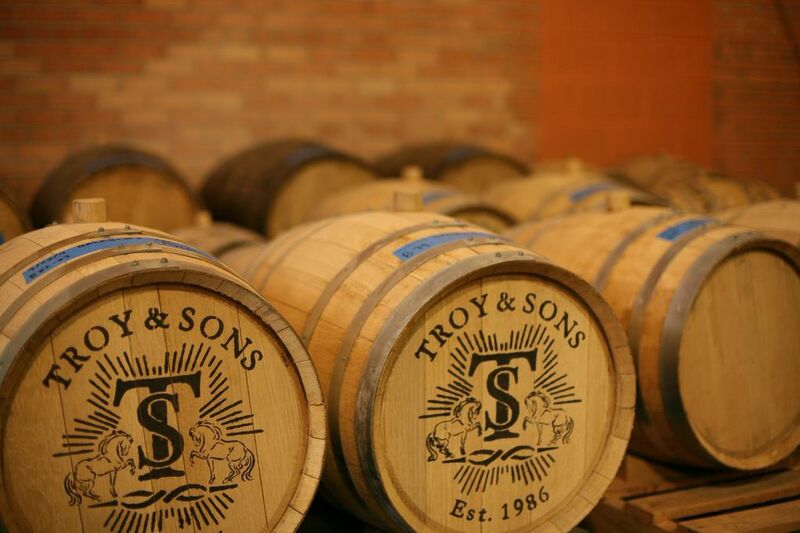 Crooked Creek Corn became the foundation of all Troy & Sons whiskeys. 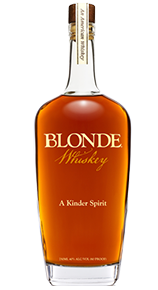 John also grows Turkey Red Wheat that is used in Troy’s award winning Blonde Whiskey recipe. Turkey Red Wheat was the original wheat brought to the United States by the Mennonites and is responsible for the creation of the American bread basket in the 1800’s. After building her first two stills, one from a pressure cooker and the second from whiskey barrels, Troy bought her first copper still in 2009. Each still taught her valuable lessons and came with their own set of problems to overcome. 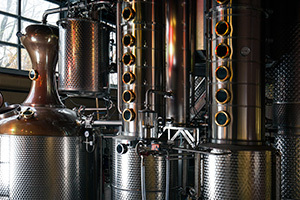 In 2011 when the decision was made to move into Asheville, Troy’s hometown, she ordered a 2000 liter Kothe still to be installed at her new distillery, Asheville Distilling Company. 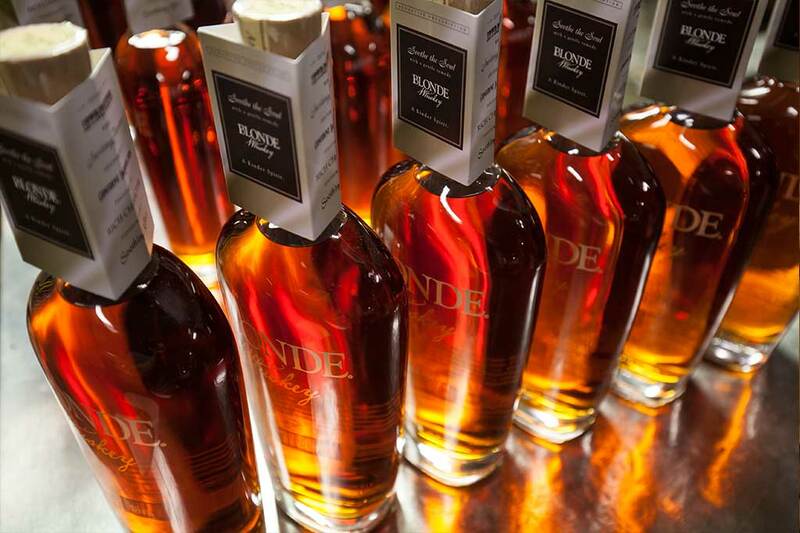 Wanting to ramp up her aged spirits program, a larger still was acquired in 2012. The new 5000 liter Kothe still, like the previous one, was a copper still with two columns, capable of distilling to high proof, making very clean whiskey. 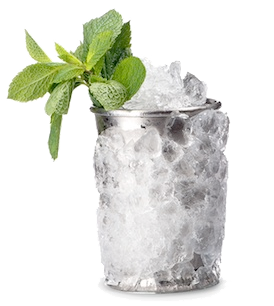 The heads are the very first liquids to be distilled, while the tails are the very last. 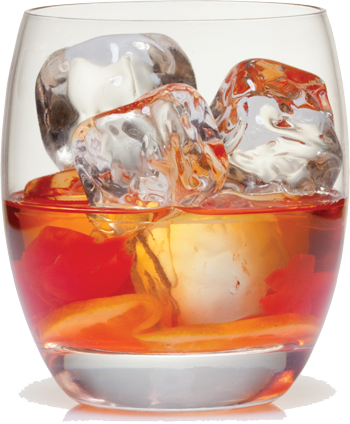 Right in the middle of a distillation are the hearts. 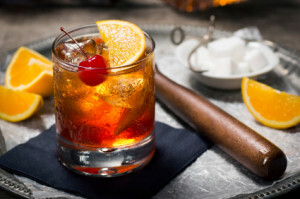 Troy learned from the mountain whiskey makers that if you only captured the hearts your whiskey would be smooth as silk without the terrible burn so often associated with whiskey. Heads contain acetone and other noxious chemicals that literally can give you a headache While the tails contain fusel alcohols which are very oily and dirty smelling. 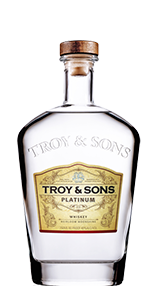 Troy is committed to sacrificing profit to create smooth, clean whiskey – pure heart whiskey.